Featuring wide 3/4 length sleeves, a slightly cropped length, and a flowy fabric that drapes effortlessly against your silhouette, this blouse is the definition of elegance. 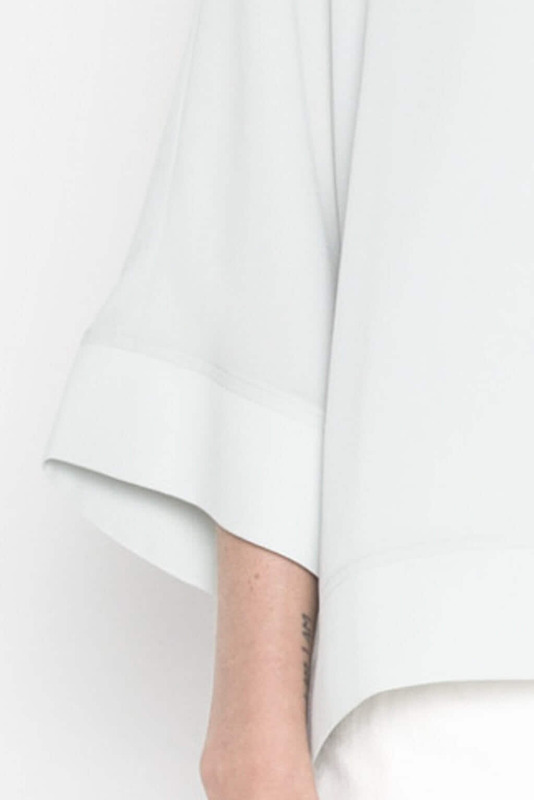 Minimalistic and feminine, you can easily style this blouse up or down. Pair with jeans and flat mules for a refined, everyday look.